Or don't. In fact hyping on lookbook.nu would be amazing, please! 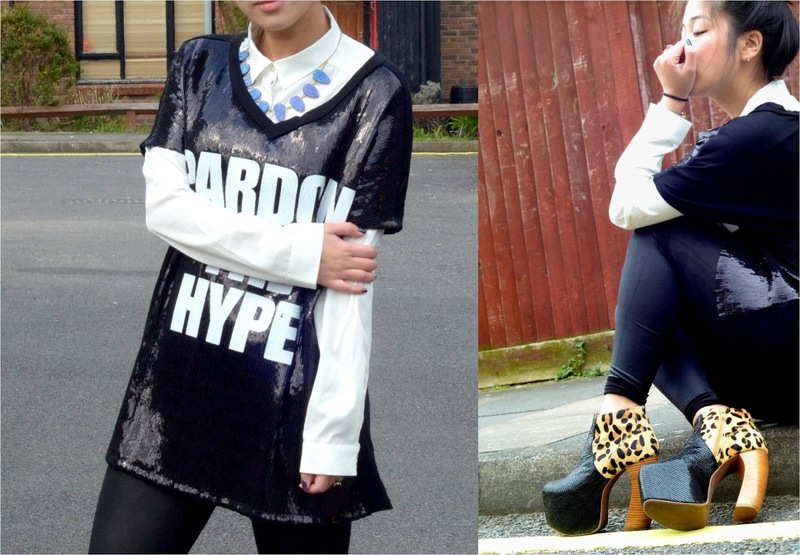 I picked up this oversized sequinned tee from a shop called Republic for a tenner.... I don't normally shop there as I only know the branch up north but there's always a bargainous treasure tucked away and I even spotted my beloved Vila military jacket for £25! I bought mine from very.co.uk for £60.... My pink bow hasn't really left my head for about 3 weeks and it doesn't look to be going anywhere - I've got a feeling my spring wardrobe is going to be dominated by all things fluorescent this year. Sorry for the manky face today - that's the mix of me trying 'to connect with the camera' and being hideously exhausted. But busy is always good, even at the expense of my face!